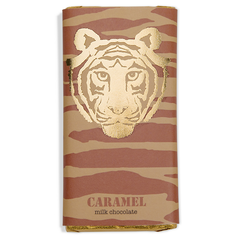 Top of the list of our favourite flavours here at Paper Tiger HQ, this milk chocolate orange infused bar is an absolute Tiger treat from the first square to the last. The hint of geranium accentuates the floral citrusy scents and gives the orange some extra GGRRR! Try not to eat it all at once!